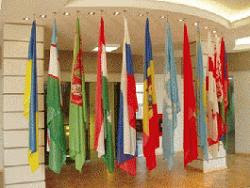 ASTANA, October 23 (Itar-Tass) -- Georgia will walk out from the Commonwealth of the Independent States (CIS) in August 2009, CIS deputy executive secretary Nauryz Aidarov said at the 15th conference of the CIS education ministers here on Thursday. The Georgian Foreign Ministry filed a note about the country’s walkout from the CIS in the CIS Executive Committee on August 18 after the armed conflict in South Ossetia. Aidarov noted that the CIS Executive Committee launched the walkout procedure under Article 9 of the CIS Charter. “Under this article a CIS member-country notifies in the written form a depositary about its intention to quit the Commonwealth 12 months before the walkout. August 18, 2009, will be thereby considered as a date of Georgia’s walkout from the Commonwealth,” Aidarov said.